You all know the game Six Degrees of Kevin Bacon right? Where you name an actor and can trace back through the other actors with whom they have worked to a movie with Kevin Bacon within six people? 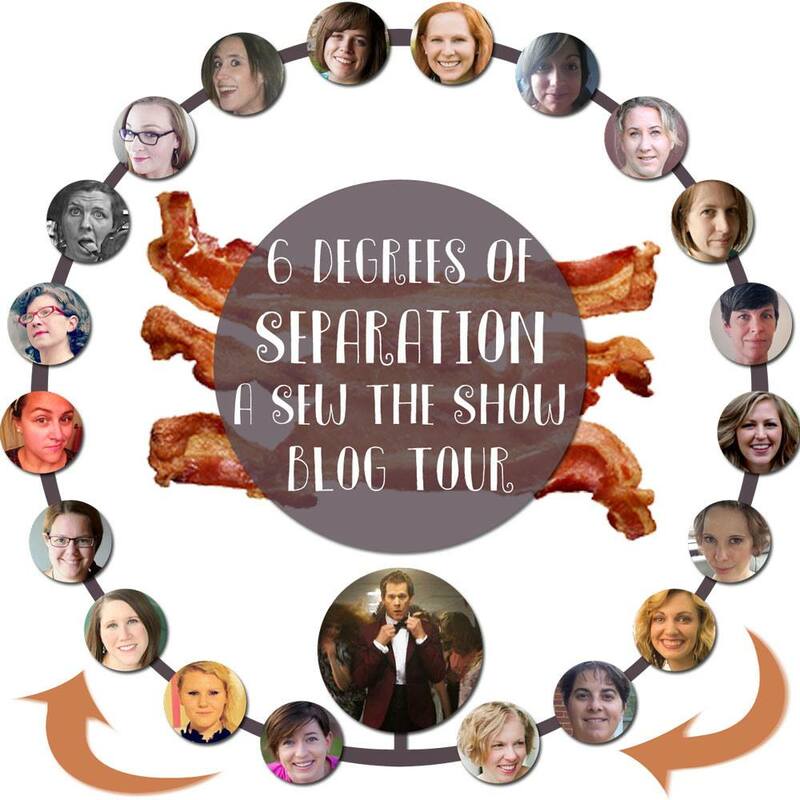 Well Sew the Show is having their first blog tour and with a little brainstorming the theme of Six Degrees of Separation was born. 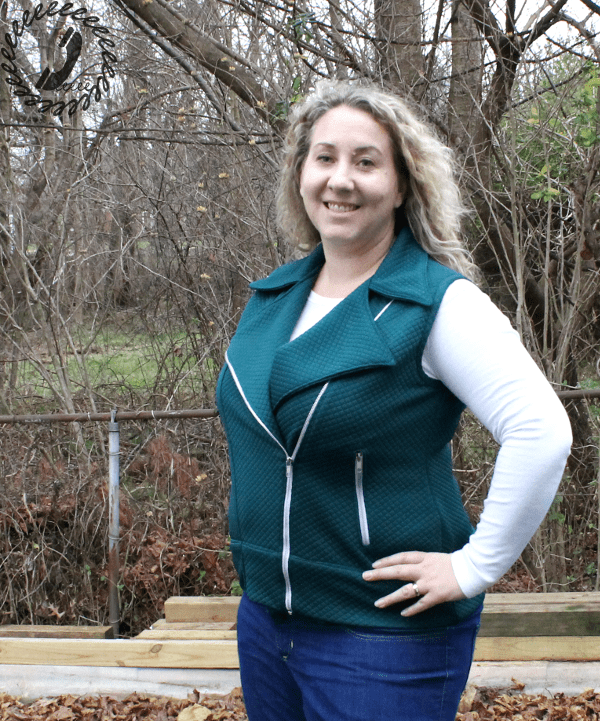 Sew the Show is a blog series where there is a monthly theme based on a tv show or movie and you sew something inspired by the theme. It’s not meant to be a costume series so it’s a great excuse to sew along and make something every-day-wearable. If you aren’t following them already, you are missing out on a really fun group! But back to the Six Degrees tour. How it works is we started with Kevin Bacon in the center and the first blogger (Becca, one of the hosts of Sew the Show) chose to link to The Closer through Kevin’s wife Kyra Sedgwick. Then the next blogger (Katie, the other host of Sew the Show) linked to Juno through JK Simmons who is in both The Closer and Juno. And so it continues around the graphic where each blogger sews something inspired by a film or television show connected to the one the previous blogger chose. The connection can be through common actor, director, or significant other, all the way back to Kevin Bacon in the end. Super fun right? 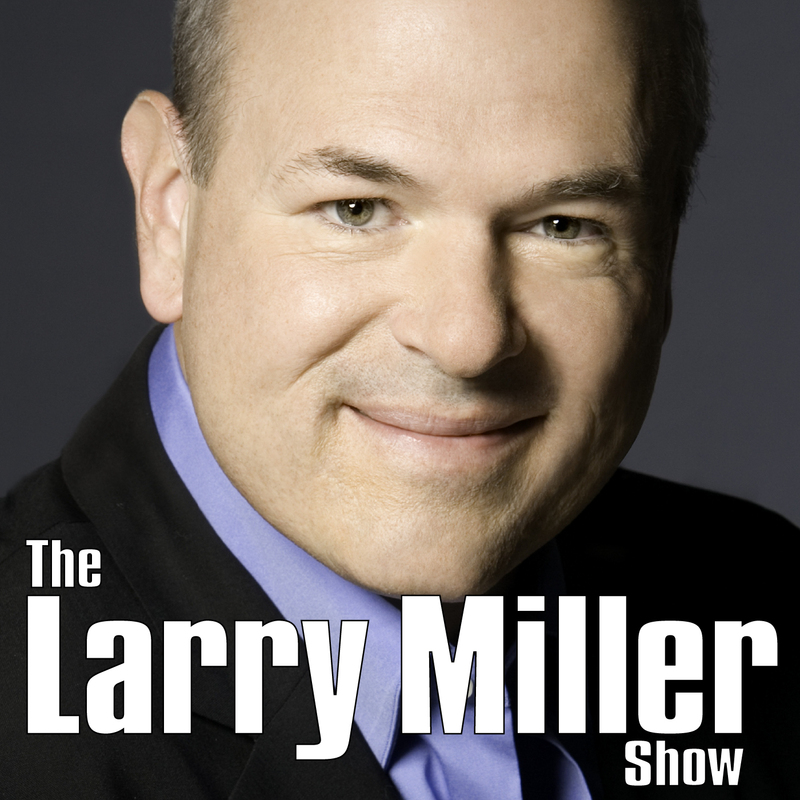 Well yesterday Maryellen linked Julia Stiles to 10 Things I Hate About You and so I chose none other than Larry Miller for my connection. 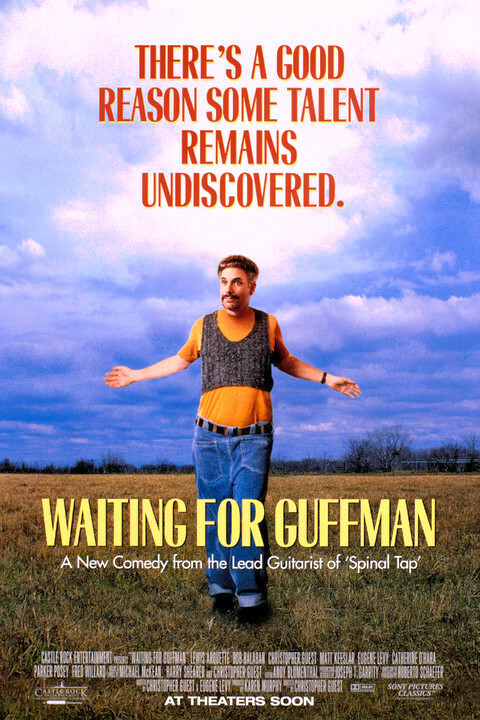 Of course I had to choose Waiting For Guffman. It’s an old favorite and I know pretty much the whole movie by heart. Larry plays the mayor of Blaine and every time he’s on the screen it’s good for a laugh. I rewatched it for inspiration and the thing I really noticed this time was the array of vests that Corky (the main subject) wore during the film. He even managed to squeeze into a vest for (spoiler alert) his stand in performance at the end. 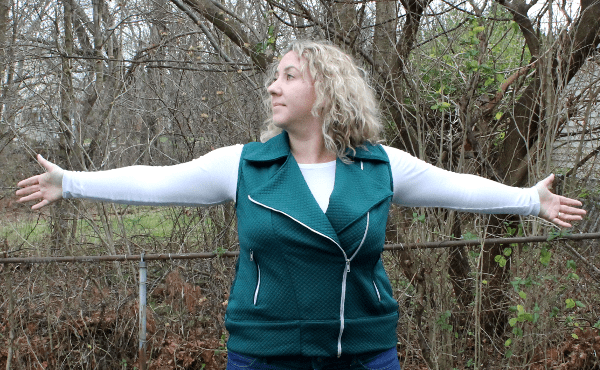 I decided to make a vest for the series and the Evergreen Jacket (*affiliate link) by Hey June stood out to me immediately in my stash. I’d been wanting to make one for a year and never got around to muslining, so this was the perfect excuse. 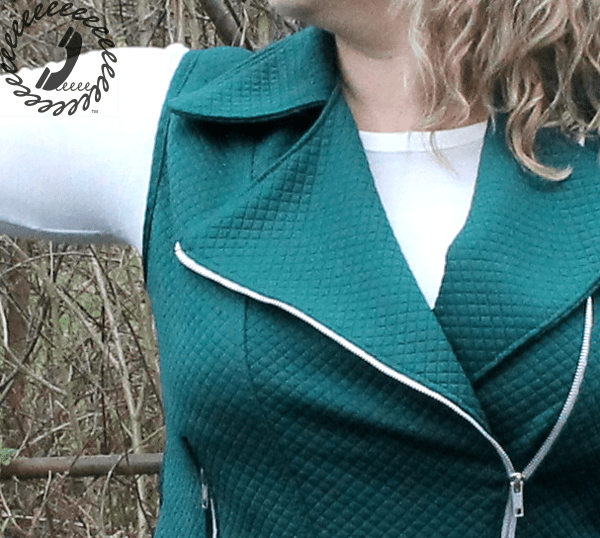 My thought was just hacking off the sleeves, taking a little off the shoulder, and adding binding around the arm hole in order to turn the jacket into a vest. Apparently it was the right thought cause Adrianna herself did that exact thing here, hehe. We took some super fun pics on the stage at my girl’s preschool, but of course when I got home the pics were poorly lit so they were unusable. That’s what I get for not checking before we left! 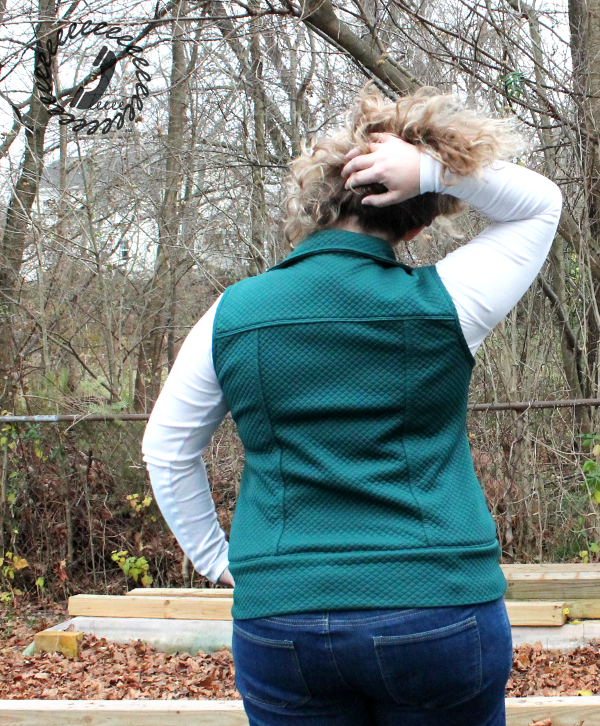 Anyway, I did some ridiculous poses – channeling my inner corky – in the side yard seconds before dark so you could see how nice the vest turned out. The details are really lovely and the fit is great. This wasn’t a quick sew, but the directions were amazingly clear and I didn’t have to go back and reread anything. All the pieces fit together perfectly and it was just a step by step, no screw up sew. And the best part is that now the jacket has been “muslined” so I can whip up the real deal in a pinch. I’m super excited about that as I’m in desperate need of a new jacket. Well, if it ever actually gets cold this winter in Maryland. It was 70 degrees yesterday! Okay so now that you know that I was inspired by Waiting for Guffman, check out the next stop on the tour (Lulu & Celeste) to see which actor she chose!